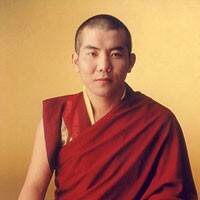 Rigpe Dorje Foundation (RDF) Is a Canadian charitable organization officially registered with the department of National Revenue, #119119923RRR0001 and is part of an international network of foundations founded by His Eminence The 3rd Jamgon Kongtrul Rinpoche in the mid-eighties. RDF currently operates under the guidance and inspiration of His Eminence The 4th Jamgon Kongtrul Rinpoche and his General Secretary Tenzin Dorjee. FULFILLING A VISION His Eminence The 3rd Jamgon Kongtrul Rinpoche, a senior leader of the Karma Kagyu School of Tibetan Buddhism, responded to the plight of needy Tibetans in India and Nepal with a vision for social, vocational, educational and medical development. The programs were eventually broadened so that populations of all backgrounds could benefit. In fact, His Eminence’s aim was to provide basic opportunity for personal growth and quality of life for people of all ages. A wide range of projects was initiated to achieve this goal. RDF works with its overseas partners, Paramita Charitable Trust (India) and Ananda Sangh (Nepal), both of which were established by His Eminence to fulfill his vision with projects in India such as The Jamgon Kongtrul 3rd Memorial Home for the destitute elderly and young, The Jamgon Kongtrul 3rd Memorial School and the Jamgon Kongtrul 3rd Memorial Health Care Centre as well as the Sight Restoration Programs in India, Nepal and Tibet. Donations to RDF are tax deductible and go directly to support the projects. Please give what you can to support projects in India, Nepal and Tibet. Give to our social project to provide for the poor and needy in the areas of well-being, education, health, and treatable blindness. The Children’s Education Fund to support school fees, uniforms, text books, and transportation to school. The Medical Fund to support hospitalizations, surgeries, and specialist treatments. The Teachers’ Fund to support salaries and remunerations. Jamgon Kongtrul 3rd Memorial Health Care Centre is the only charitable health-care facility serving Lava and 32 poor and remote villages within a radius of 25 kilometres. A token fee of Rs.10 is charged for consultation and medicines are dispensed at cost. Your donation will support the cost of medications and medical supplies, the salaries of the resident nurse, the doctor, and pharmacist, and the maintenance of the clinic facility. Jamgon Kongtrul Eye Centre (India) is a community eye hospital. Free Outreach Programs are conducted on an on-going basis to screen for cataracts in patients from poor and remote areas and to test the vision of school children. Identified cataract patients are taken to the Eye Centre for FREE surgeries and intra-ocular (IOL) implants. Sponsorship of a cataract surgery and IOL implant is $50 per eye. The Treatable Blindness Program (Nepal) Has been operating since 1993. Patients in poor and remote areas of the country are screened and those with cataracts are taken to a mobile surgical unit for FREE surgeries and intra-ocular (IOL) implants. Rigpe Dorje Institute at Pullahari Monastery has served as the mobile surgical unit for Ananda Sangh’s annual cataract program since 2001.